Look here for physical (matter, forces, energy), life (plants, animals), Earth, and space science websites. You'll find tons of free resources helpful for both homeschooling parents and students. For retail curriculum products and non-free resources, see our science curriculum section. 24/7 Science, brought to you by the Lawrence Hall of Science, a public science center of the University of California, Berkeley, is an awesome interactive resource for online science games and activities. Look here for an interactive Periodic Table. The BioKIDS/DeepThink research group is engaged in educational research to improve science learning in high-poverty, urban, elementary and middle school classrooms, with particular focus on the Detroit Public Schools, and it is also a great resource for homeschoolers. Students can learn about common animals found in Michigan and their tracks, markings, homes, and things they leave behind. 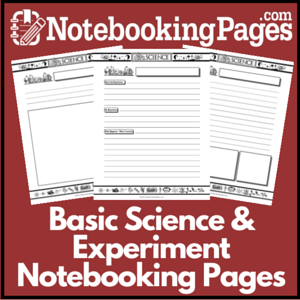 Find tons of free printable middle school science worksheets and lesson plans. This is a great free resource! Watch the transformation of a monarch butterfly from egg, caterpillar, chrysalis to butterfly in detail by many different series of photos at this wonderful website offered by David Britton. California Geological Survey (CGS) believes that there is a need to increase public awareness and understanding of the importance of the earth sciences in our lives, that is why CGS provides educational resources for teachers and others who are interested with the hope to make earth science learning more meaningful. Explore nature and science even while you have fun with games and interactives from the Canadian Museum of Nature web sites. Perform total knee replacement surgery; run a farm; manage a bakery; learn about simple machines, acceleration, and the speed of light; and more a COSI's online activities page. Award winning periodic table, with user-friendly element data and facts. Cool, online chemistry videos, dictionary, tools and forum. The goal of this project is simple: to help your child appreciate science. HHMI looked at some of the best science projects from some of the best museums in the country. Then they adapted them for the Web. Some of these activities are entirely electronic. Your child will do everything on screen. Others require you to go to your kitchen or backyard. They are designed for students in kindergarten through second or third grade. 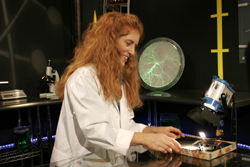 The Howard Hughes Medical Institute offers a database that contains a wide range of resources—from lesson plans and detailed curricula to tutorials, animations and laboratory exercises—for educators at all levels. You can search these resources by topic, type, or target audience. Cosmic Quest, by the Children's Museum Indianapolis, is where kids can explore the universe and learn about how astronauts survive in space. Design a space station, learn about the solar system, read about astronomers, and more. Creative Chemistry offers full-color worksheets and teaching notes for fun activities suitable for a chemistry club, and around three hundred pages of question sheets and practical guides for GCSE and A Level Chemistry. You will also find fun chemistry puzzles, interactive revision quizzes and molecular models. The Denver Museum of Nature & Science has launched a brand new video series called Science Bites! Their scientists explain the how and why behind headline news, as well as the science you see in your own backyard. Edheads helps students learn through free educational games and activities designed to meet state and national standards. Environmental Health Perspectives (EHP) is the leading environmental health journal in the world. It is published by the National Institute of Environmental Health Sciences. EHP provides the most current and credible peer-reviewed original research and news articles on the effects of the environment on human health. It is an open access journal, meaning the contents of EHP are available online for free to anyone. The mission of EHP is to educate, inform, and enlighten by disseminating the best environmental health research and information throughout the world. The Exploratorium stands in the vanguard of the movement of the "museum as educational center." It provides access to, and information about, science, nature, art, and technology. Look here for links to online exhibitions and activities.